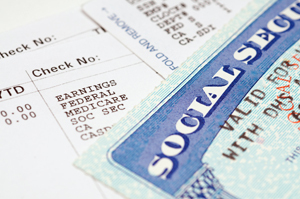 Benefits and work incentives counseling connects the paths between benefits and work for those receiving Supplemental Security Income (SSI) and/or Social Security Disability Income (SSDI). Many people with a disability want to work, earn more or start a career. But one of the biggest obstacles is the fear that doing so will lead to a loss of needed medical benefits or even a loss in total income. Many incentives are available that make it possible to earn more while keeping needed benefits. Benefits and Work Incentive Counseling services help people with disabilities make informed decisions about work, benefits and the use of work incentives to achieve their employment goals, as well as helping them navigate the benefits system when they begin working. Many people with disabilities believe that if they go to work, they will lose all of their federal and state benefits or their medical insurance, but this is seldom true. Benefit counseling services are designed to provide individualized work incentive counseling services to individuals seeking to work while educating them on necessary healthcare and other benefits. If you receive Social Security benefits and you have a job or are looking for one, there are specially trained professionals known as Community Work Incentive Coordinators (CWIC) to help you make sense of complex employment and benefit-related issues. A highly skilled and rigorously trained Community Work Incentives Coordinator (CWIC) provides individual counseling to beneficiaries seeking employment and intensive follow-up services to ensure that they are using the work incentives appropriately. CWICS provide confidential services to people with disabilities who receive Supplemental Security Income (SSI) and/or Social Security Disability Income (SSDI). CWICs educate beneficiaries on how employment will affect their public benefits such as SSI, SSDI, Medicare, Medicaid, subsidized housing and food stamps. What a CWIC can do for you? Information and referral about other resources available to you in the community. The Community Work Incentive Coordinator will explore with you and your stakeholders how to best utilize the work incentives available to you. Work incentives like Trial Work Periods, Extended Period of Eligibility, Impairment Related Work Expense, Blind Work Expense, Student Earned Income Exclusion, Plan for Achieving Self Support, extended Medicaid 1619 (b), Expedited Reinstatement of Benefits and much more.